Since the introduction of the Chevrolet K5 Blazer, General Motors has molded the shape of the personal SUV space. Arguably for the better, large personal vehicles such as the original Chevy Blazer have become part of the Americana vehicle archetype. Right up there with muscle cars like the Ford Mustang and Chevrolet Camaro, to the Corvette, adventurous Jeeps, and the full size pickup truck such as the F-150 and Silverado. These are vehicles that people still romanticize about, both in America and abroad, in the face of an autonomous vehicle doomsday clock, fueled by lack of driving passion and Silicon Valley micro-dosing. To wit, Chevrolet’s marketing team will openly admit the differences between customers of the Tahoe and Suburban nameplates. For the uninitiated, the Tahoe and Suburban may appear as the exact same vehicle, and to offer both marques simultaneously is pointless. But looking at the unfiltered data, and the demographics of the Tahoe and Suburban couldn’t be more different, and their places in the market couldn’t be more distant. Those buying a 2018 Chevrolet Suburban, with an MSRP of $50,200, are likely a structured single-income family household, with one spouse averaging a salary well above $100K annually. The Suburban is used as a multi-role family carryall, that needs to fit the whole family, plus copious containers of cargo, to wherever it is they’re going. They might even be towing something, as well. As for the $47,500 MSRP Chevrolet Tahoe, which features a shorter wheelbase, buyers likely represent a dual income household. Maybe there are kids, but it’s not for sure. The towering Tahoe has three rows of seating, despite owners largely using it for personal daily use, such as commuting. 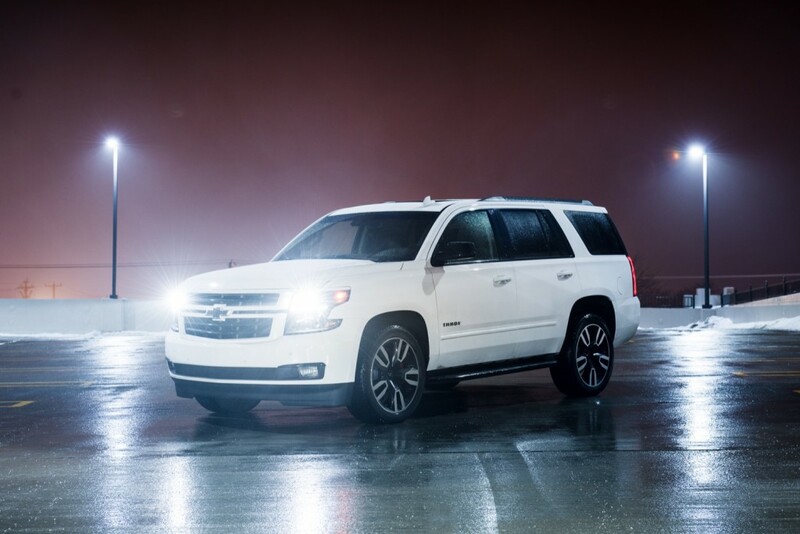 Customers buy the Tahoe out of discretion, not out of necessity, unlike the Suburban. It’s a vehicle that sold nearly 100,000 copies in 2017 based on preference and taste, to make a statement. A personal vehicle. Like a Camaro, or a Corvette. So why does it feature a barely usable third row? Reader Richard ponders the same. “I think a third row seat delete should be an option. Not everyone needs three rows,” Richard notes in an email to GMAuthority. At the moment, the only three-row vehicle that deletes its least-used row is the midsize GMC Acadia, with the All Terrain trim level. The notion is that it frees up more trunk space for those involved in the coveted “active lifestyle.” Which, if we’re honest with ourselves, that normally amounts to needing space for a duffle bag, a cooler, and a tent. 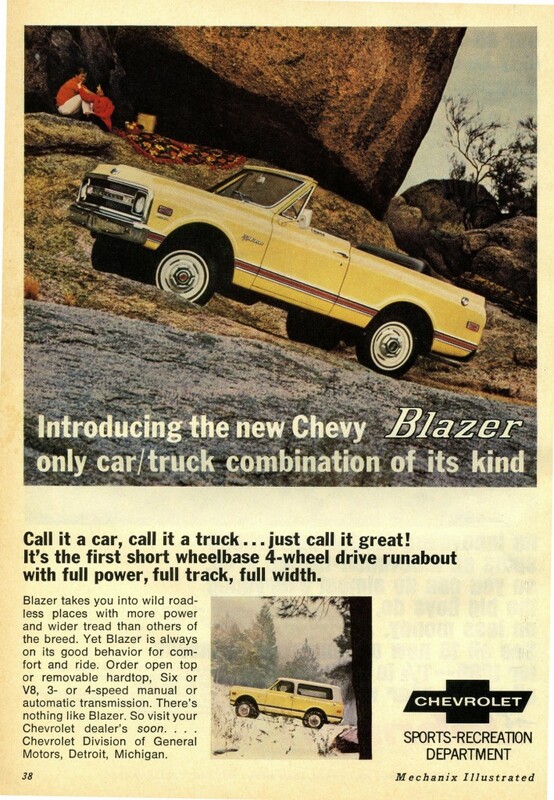 Yet it’s the kind of personal adventurousness that the original Chevrolet Blazer pioneered fifty years ago, before the nameplate downsized and made room for the Tahoe in its previous space. Deleting a third row in vehicles like the Chevrolet Tahoe, GMC Yukon, and short wheelbase Escalade could indeed give a more personalized vibe to these American money machines. It would eliminate what is, in our opinion, an essentially redundant feature of the cramped third row seats, while opening the trunk space up to more Suburban-level capabilities. As it stands, the trio of short wheelbase GM fullsize SUVs provide neither ample third row seating nor practical trunk space, unless the seats are folded flat. The flat folding is made possible via a raised loading floor, compared to the previous generation. There’s more potential here than simply removing a set of seats. General Motors could make the second row of the Cadillac Escalade more luxurious by putting more focus on the second row of seats, such as giving them greater reclining abilities and more leg room, made possible by setting the seat frames closer to the back near where there is no longer a third row. 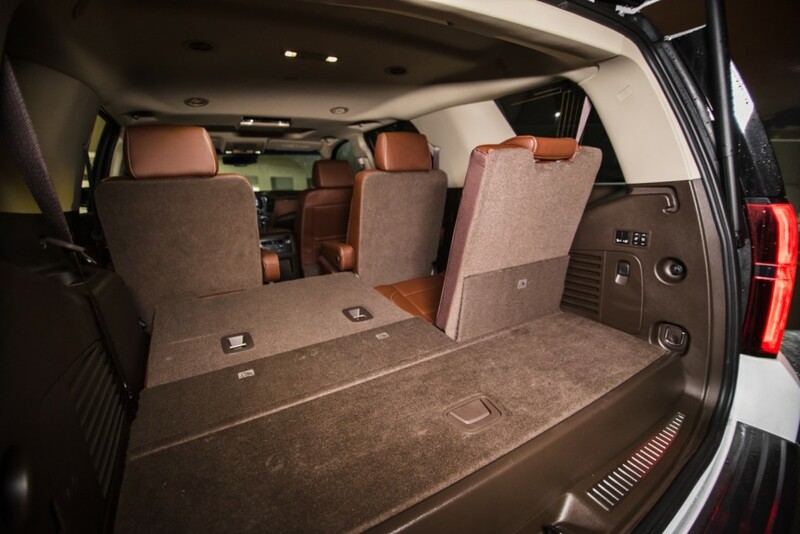 It could give the Chevrolet Tahoe a more tactical feel with a less cluttered interior. Same goes for the Yukon or Yukon Denali. Let us know how you feel about Richard’s third-row delete idea in the comment section below. I wanted an Acadia without a third row seat. I have no use for a third row seat. I didn’t buy the All Terrain with two seat rows as the interior colors are ugly and I also didn’t want to pay for mandatory awd on All Terrain. Make third row seats optional. Very few people need them. Save weight, increase mpg and get storage well space in lieu of third row seat. The flat folding seats don’t take up much room when down, so is it really that big a deal? In the Tahoe they are there for those times when you want to transport a few more people. Lots of people use them. In fact I’d say the majority of people with Tahoes I see, are families with multiple kids, and they do end up using the seats. I think the people driving a Tahoe as a “personal vehicle” without a family/kids are a small minority, yet they are very vocal, as evidence by this article. My all time favorite vehicle and still is today a Chevy K5 Blazer. The two doors and tight turning radius makes it a great in town vehicle and the capability as a rugged truck for hauling and towing makes it the only thing I use on weekends. I don’t need 4 doors and three rows of seats for my family or as my daily driver so the Tahoe we own is used as a vacation wagon. If GM built a new K5 fashioned on the ’75-’91 model, I would surely be a buyer! Front buckets and a rear bench with 2 doors is missing from the market! I literally bought an All Terrain Acadia for this reason (& a few others). Me thinks the Bronco is going to attack this segment with laser guided ferocity & likely ridicule my “all terrain” capability (which is more of a “maybe something a tad rougher than a dirt road terrain”). She’s a great road vehicle though. More rattles than my ’05 Trailblazer already, but really my only complaint.thus far. My current ride is an ’08’ Trailblazer bought new. It doesn’t have three rows and I like it. I never needed a third row and people I talk to don’t either. I’m about to replace it and don’t need a Tahoe Custom Limited Edition. I thought about the Acadia (All Terrain) but hate that basketball orange leather interior. Regardless of the SUV or crossover the unnecessary extra seats = unnecessary extraweight, in my opinion. Not everyone needs/wants 3 rows. STOP!! We have this all wrong! The better and more obvious solution is to make a third row seat an OPTION, period, end of story! If you think you want and need a third row seat, then pay for it. Simple.. isn’t it, That’s how this all started years ago. This all got distorted when soccer-mom-zilla took control of the market. If you need that many seats, buy a mini van! But no way!…elitist yuppie, millennials driving a mini van!…perish the thought! So with this, we have to add third row seats to as many suvs that we can squeeze them in to. Not only that, we had to create a new segment of vehicles called crossovers to further accommodate these people. For the many consumers that do not need third row seats, and for whatever reason, remain silent or don’t care to comment, I please ask manufacturers to not charge us and include this useless, space robbing item in our vehicles! I am sure a third row seat adds a considerable amount of money to the price of a vehicle. Why should we have to pay for this if we never need or have the opportunity to use it? As stated at the beginning of my rant, if you need it bad enough, then YOU should pay extra for this feature! Don’t make me take the burden of cost for this useless feature. A 3rd row doesn’t cost that much to add to a vehicle. And, the majority of buyers want it, enough that companies decided to just put it standard. That’s just the way it is. Acadia offers the all terrain with 3rd row delete. I believe Toyota Forerunner does as well. That said, I agree in principle. You can get a Tahoe or Suburban without the console and put 3 in front, 3 in back. As long as two of those 6 are children or small people, you’ll be fine, and then you get a big trunk for cargo. So yea, that would be nice if you could spec one without a 3rd row. Exactly John P. That’s what i stated earlier. Before the 3rd row seat became standard in the Suburban’s in 2000 the 3rd row seat was a $250 extra cost OPTION. Who knows how much the manufactures are charging us in the base price now for a 3rd row seat we don’t want or need. Let the people who want the 3rd row seats pay extra for it just like any other option that person just has to have. Clearly you don’t see how this works in order to keep cost down making a item standard equipment keeps the cost per unit lower. In the world where people complain because cars and trucks don’t have a long list of standard equipment manufactures add things like 3rd row to the list! Why because the vast majority want the 3rd row. It is none of your business if I need it or not. I may think you don’t need to be on the internet but that’s not my business. Every option you have costs more on the line. Dealers carry what sells not what a few people want. If you don’t like the third row take it out. If they do offer a delete option special order one. I am sick of people who think they know what people want or need. Well I know what you need. It’s called a 4 door pickup with a cap. But again it’s not my business. Anyone know how big a pain in the rump it is to remove the third row? Mine is the manual fold option, so I’m hoping it isn’t to bad. Pay for something you don’t want. Struggle to remove it. Store it for years. Struggle to re-install. Thanks GM and the baby factories overproducing and using up limited resources. I have a 1999 Tahoe Z71 before they ever added the third row. It’s perfect for what it was designed to be, a sport utility vehicle. I have plenty room for my camping gear and the dog, and if I don’t want to pitch my tent, I can fold down the 2nd row bench seat and have 78″ of perfectly flat surface to sleep on. If you need a third row seat, get a damn Suburban. I removed the third seat (7 bolts), stored it in my garage, bought a floor mat to cover the missing carpet. I purchased my first Tahoe (used) without 3rd row seats because it was similar to my parents Trail Blazer that I loved driving in 1984 even though it was an older vehicle. The Yukon I have now I ended up removing the 3rd row and storing them – what a pain in the …. AND have to pay more for something that is worthless. I wouldn’t own this type of vehicle except I live on dirt roads and live in a northern state, so necessary – trucks are worthless to me. I agree that the 3rd row back seat should be an option. I like the luggage roll bar feature on my 2002 Tahoe Z71. The roll bar makes it possible to load my canoe by myself. This feature is no longer available. I will continue to drive my 2002 Tahoe with the luggage roll bar & NO 3rd row seats until it blows up or they make em that way again! We had two loaded Tahoe LTs, a 1999 then traded for the new body style 2000, both without 3rd row seats. I don’t think it was even an option back then. Both had front bucket seats with a second row split bench seat that actually folded flat to create a totally level loading floor when needed. Both had large cargo areas to accommodate whatever we carried. Loved them! We then purchased a 2010 Escalade which came with the removable third row seats which are totally useless and have never used them. They’re heavy to remove and the floor is not totally flat due to the tracks and the plastic track trim. We were considering a new 2018-2019 Escalade but noticed they have non-removable not-so-fold flat 3rd row seats with the cheap idiotic raised plastic cargo floor which reduces the cargo height by 5-6 inches. Totally useless and a waste of money and weight. The “utility” has been lost in the SUV. For the $90-$100K purchase price, one should at least be afforded an option to delete them. We hate the third row seats and want the cargo space back! If I wanted a third row seat, I would purchase the extended length Escalade or a Suburban. We will not buy another GM full sized luxury SUV until a change is made. When the first one showed up with mandatory 3rd row seating I was disappointed. I didn’t want or need the 3rd row. It is the first thing I do when I get the new vehicle home from the dealer. Pull the 3rd row out and down the basement they go. Cover the floor with a weatherTech mat and floor mat and have usable space back. I also order 2nd row bench seats, no buckets needed there. I really wish it would be an “include option” order if you want them otherwise leave them out. If it’s so easy to fix why dont you do it and not make the factory do it? I support the way GM does it, 8t comes with 3rd row. Use it if you want or remove if you dont it’s up to the owner! Then if you sell the truck the next person might be looking for a SUV with a 3rd row. And you would be screwed because now you dont have it and it becomes harder to sell! I had a 2003, 2009, 2013 Tahoe with the option 3rd seat which I removed and stored for the storage. What a surprise when I purchased my 2017. I did not think that small slope would make a difference. First time I went shopping, 2 mellons fell out of the back when I opened the hatch. Not Happy I have had all cargo slope to the back hatch which makes me very careful when I unload. My cargo mat slips to the back and sometimes the hatch will not close. Disappointing. This was to be my last Tahoe if the slope to the back was not removed, glad it is being removed or an option. There definitely needs to be an option for deleting the third-row seating. When I bought my 2009 Yukon the third row seats were easy to remove. I took them out the day I brought the vehicle home. I have competition dogs and my dogs travel in Zinger crash crates. I am now purchasing a new Yukon. The higher flooring doesn’t allow for my 30″ tall crates to slide in. The rear opening is now exactly 30″ and the interior floor to ceiling is 34″. Due to the rear floor storage compartment, that no one seems to know how to remove, I won’t be able to get my crates in the rear entry. The third-row seats would be forever folded down and are a complete waste of space. The other kicker is that if you want a Denali you can’t get one with 60/40 second row seats unless you have it built. These luxury SUV’s shouldn’t just be geared toward families with two-legged kids. I know many dog sport people that stay with the older versions of the Yukon, Tahoe, and/or Suburban for the same reasons I have mentioned. I held out getting a new Yukon for as long as possible because I knew this would be an issue. I agree that GM should create a Tahoe that doesn’t have a third row, because I myself have no use for an extra row. I think they should replace the LS model with a model that doesn’t have a third row. They have. It’s called the Custom Edition, and is only available on the LS model. I bought one.